To reinforce Lavazza brand positioning “real Italian espresso experience”. 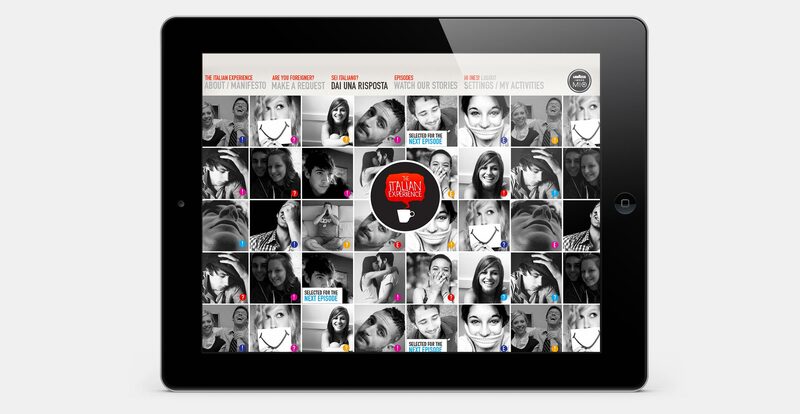 A digital platform where people can share that 100% Italian heat that makes us known abroad. We travelled around 4 continents, asking foreigners which aspect of italy would have liked to live and then ask Italians to reply proposing their personal point of view. The best video-question and the best video-answer become an episode of The Italian Experience.2 years, 8 episodes, 4 categories (falling in love, having fun, life pleasures, friendship first, lifestyle&design) and a new unexpected Italy.